I have a confession to make. Like several other online reviewers, I too thought this was a memoir. 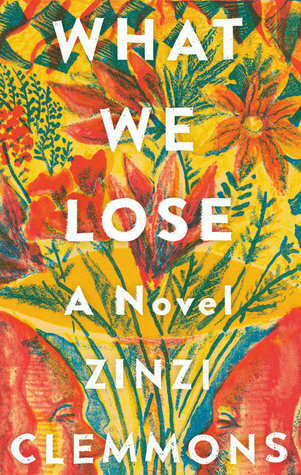 About halfway through the book, I realized that the author is named Zinzi, and the character’s whose story is within these pages is named Thandi (*smacks forehead*). Though they are two different women their backstory is essentially one in the same, both are born of a South African mother and an African American father. Thandi navigates through life negotiating both identities, never really fitting into one or the other. The book chronicles her life from childhood all the way to adulthood as she stumbles in and out of relationships, loses her mother to cancer, marries, and eventually has a child of her own. The loss of her mother, however, is the clear focal point of this book. This novel is written in sparse language and presented vignette style. There are photos, poetry, and snippets of nonfiction text, which is a pretty distinctive of a lot of the ‘new school’ memoirs that have come out over the past few years. Clemmons choice to present fiction in this way is interesting, though one of the drawbacks of this style is that all of the ‘space’ left me wanting more Thandi. It’s ok, however, because the words are powerful enough. Do read this book. Clemmons is definitely a writer to watch. I really loved this one too! I fully agree with what you said here.